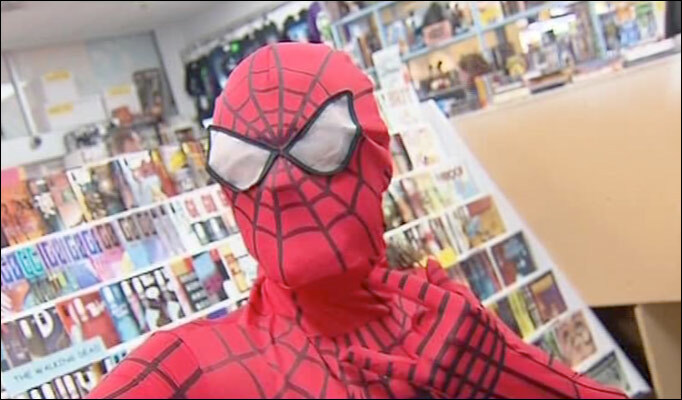 A would-be pilferer of an expensive comic book has been arrested after being caught in the act and apprehended by none other than Spider-Man himself! The friendly neighborhood webslinger was also assisted by several Jedi Knights and high-speed hero who rides the lightning, the Flash. 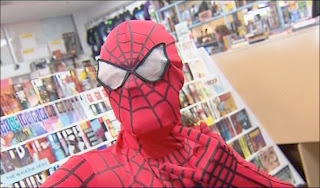 Store owner Michael Baulderstone, dressed as Spiderman, spotted the man trying to steal an X-Men book worth $160 (£97). Perhaps this chap will argue in court "But yer lordship I was told it was Free Comic Book Day..."